Windsor C-1 School District | Welcome to Windsor C-1 School District! Welcome to Windsor C-1 School District! Windsor C-1 School District is located in northern Jefferson County about 25 miles south of St. Louis, Missouri. The area associated with Windsor includes the towns of Kimmswick, Imperial, Barnhart, and Arnold, Missouri. The district currently has an enrollment of over 3000 students attending the five school buildings located in the district. James E. Freer Elementary with grades ranging from pre-kindergarten through second grade. Windsor Elementary houses kindergarten through second grade students. Windsor Intermediate Center accommodates the third through fifth grade students from both Windsor Elementary and Freer Elementary. Windsor Middle School teaches grades sixth through eighth. 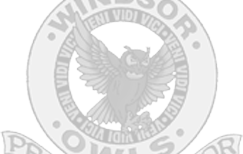 Windsor Senior High School contains students ranging from freshmen (ninth grade) to seniors (twelfth grade). 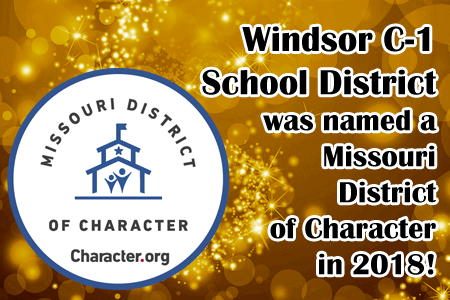 Windsor C-1 School District was named a Missouri District of Character in 2018! 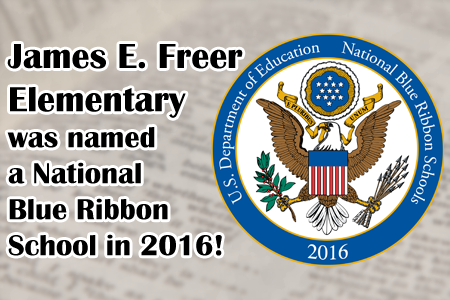 James E. Freer Elementary was named a National Blue Ribbon School in 2016! 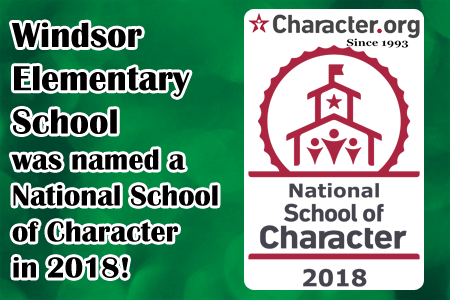 Windsor Elementary School was named a National School of Character in 2018! 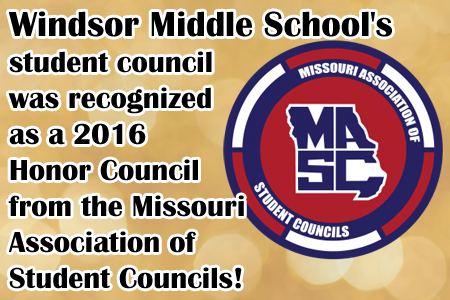 Windsor Middle School's student council was recognized as a 2016 Honor Council from the Missouri Association of Student Councils! 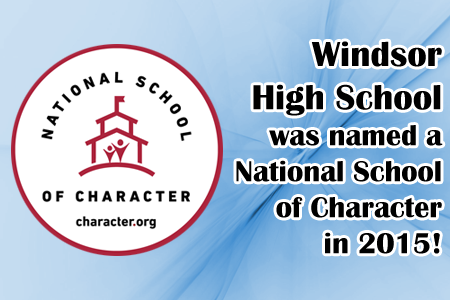 Windsor High School was named a National School of Character in 2015! 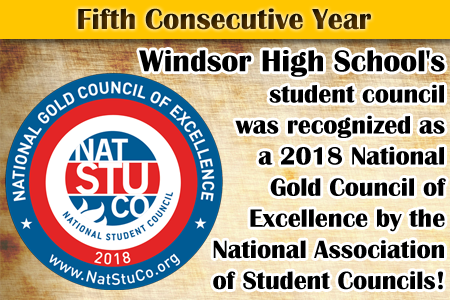 Windsor High School's student council was recognized as a 2018 National Gold Council of Excellence by the National Association of Student Councils! Fifth Consecutive Year! 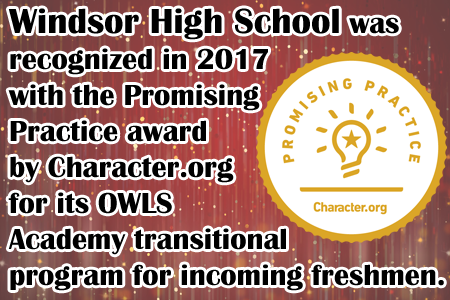 Windsor High School was recognized in 2017 with the Promising Practice award by Character.org for its OWLS Academy transitional program for incoming freshmen. 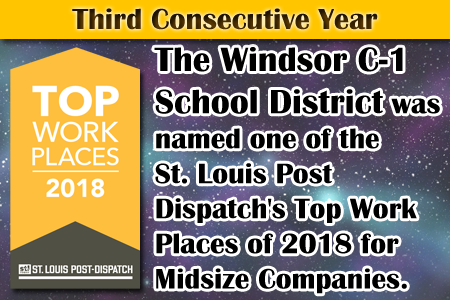 The Windsor C-1 School District was named one of the St. Louis Post Dispatch's Top Work Places of 2018 for Midsize Companies. Third Consecutive Year! Information on the new app can be found here. There is a Facebook post which has gone viral of a student from a Windsor Middle School who is being bullied. This student is from Windsor Central Middle School in Windsor, New York and does not attend Windsor C-1 Middle School in Imperial, Missouri. 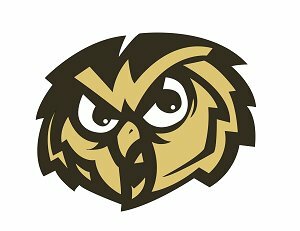 For a letter from our superintendent on the matter, please click here. The Windsor C-1 School District has been named a 2018 St. Louis Post Dispatch Top Workplace. This is the third consecutive year Windsor has been named a Top Workplace in the St Louis area. Windsor C-1 ranked #17 out of the top 50 work places in the midsize company category. The designation is based on employee survey responses. These employers — ranging from small businesses to some of the region’s biggest corporations — share key qualities: effective leadership, strong values, clear direction and motivated workers. Apply to be a Guest Teacher! Windsor Parents As Teachers conducts FREE health and development screenings for children ages 3 months through 5 years of age. Please call Mindy Ford at (636) 464-4499 to set up a screening for your child.